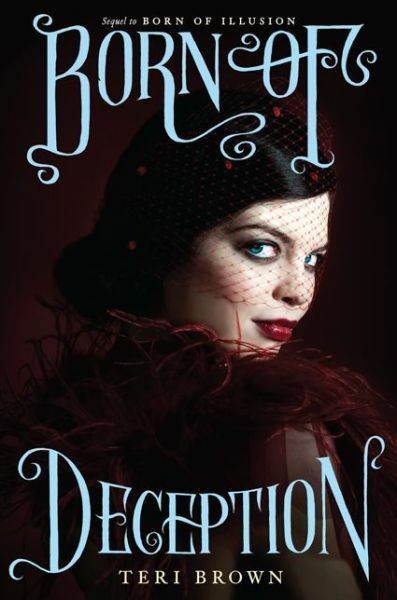 While I was annoyed that Teri Brown was writing something other than a new book in the “Born Of” series (book 2, Born of Deception, was reviewed here), I was totally up for reading something new by her, too. I have found that Teri Brown is always a good read. Her historical heroines are exactly my cup of tea (pun intended). THE PLOT: Samantha Donaldson is an exceptionally intelligent 17-year-old English girl who impresses the heck out of certain judges at the Girl Guides competition. After all, German is only one of the five languages she speaks and reads. While she plans to study mathematics at the university when WWI ends, she spends her free time as a messenger for the government in London. Then Sam is recruited for female spy organization La Dame Blanche. While Sam is understandably hesitant to jump in, she’s offered incentive: if she joins, military intelligence will investigate her father’s disappearance during a diplomatic mission. Her trainer/mentor, Miss Tickford, prepares her for her new role, but also seems to have secrets of her own. Sam’s mission: impersonate Sophia Therese von Schonburg, a person with family connection to the Kaiser’s family. Living with the royal family in the heart of Berlin will enable her to find and extract a missing spy code named Velvet. Velvet’s handler has disappeared, and she’s so far undercover that no one is left who knows her true identity. She could be one of a few different people. Sam will have to tread carefully in her part, even while developing a tentative relationship with German Corporal Maxwell Mayer. MY TWO CENTS: The success of this book hinges on the likability and believability of its main character, and Teri Brown has created a winner. Sam is, thankfully, no Mary Sue character. She may be exceptionally intelligent and willing to do anything for her father, but she’s also young, scared, naïve, and fully aware that she’s out of her depth. All of these things play well into the story as Sam gradually learns what her mission really is. There’s mystery as Sam investigates the various people who might be Velvet. I don’t think it was glaringly obvious. I thought I knew, and then I thought I was wrong, so it’s certainly not like I knew the whole time. There’s also development in the relationships between Sam and various people…her mentor, Miss Tickford; her maybe-possible love interest, Maxwell; and the young ladies who might be Velvet. I also like the inside look we get at Berlin in 1915. I’m definitely not as up on WWI history as I am with other historical periods, so that information was interesting to me AND made me want to learn more. That’s exactly what historical fiction should do. BOTTOM LINE: Very enjoyable Young Adult historical/mystery with an engaging heroine and interesting insight into WWI Germany. I don’t know if there will be a sequel or series, but if there is, I’d definitely pick it up. TEACUP RATING: This book gets four out of five teacups from me. 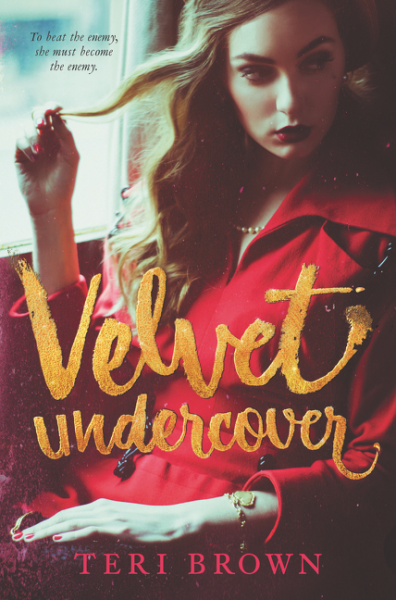 ON SALE DATE: Velvet Undercover is available now in hardcover and eformats.